Most women cringe when they hear words like “PMS”, “hot flash”, or “night-sweat”. These seemingly unavoidable conditions plague most women in America, some to the point of complete debilitation. But what if it didn’t have to be that way? I was very amazed to learn that women in unindustrialized countries rarely face the supposedly “inevitable” symptoms commonly associated with PMS and Menopause. In fact, for most of these women, the transition through the “change of life” is pretty much seamless. 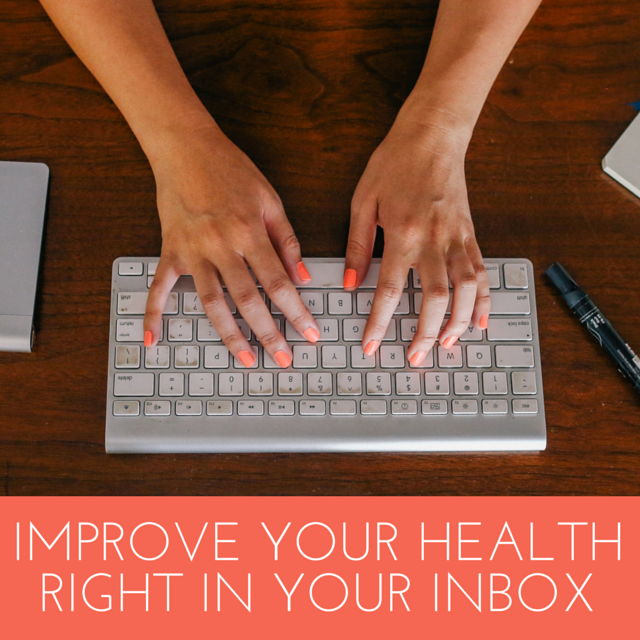 When I first began researching natural progesterone supplementation, I was quite in the dark. I was still years from experiencing menopause myself, and really hadn’t spoken to many menopausal women about what they were going through. So I immersed myself in books on the subject of natural hormone balance, and simultaneously began interrogating every woman I knew regarding their personal experiences. Many pieces of a puzzle started to come together in my mind. Almost without exception, every woman I spoke with complained of a multitude of symptoms ranging from uncomfortable to life-threatening. I also interviewed many young women in their 20’s and 30’s, only to find that they were dealing with a host of serious reproduction-related problems themselves. The symptoms were remarkably consistent from woman to woman, and as I read, it became clear that they all pointed to progesterone deficiency. In my reading, I quickly stumbled upon Dr. John R. Lee’s books on natural hormone balance. He is hailed for his research on natural hormone balance, as well as spearheading natural progesterone supplementation therapy as a safe alternative to conventional HRT (Hormone Replacement Therapy), which has been proven to cause terrible side-effects and even cancer. The following is a list of symptoms that many women with hormonal imbalance experience. It is by no means comprehensive. Some women have a few of the symptoms, while others have many. Do you know anyone with any of these symptoms? I think most of the women I know have at least some of these, including myself. I have always looked very young for my age, as do my mom and sister. I take good care of myself, drink a lot of water, and take fish oil, but lately I’ve been very bothered that the skin on my hands has begun to look extremely dry, thin, shrunken, and wrinkly. Natural hand creams didn’t seem to help. I found it interesting that that is one of the symptoms of progesterone deficiency. In a nutshell, progesterone is one of the primary reproductive hormones in the female body, followed by the estrogens and testosterone. Progesterone is necessary for conception as well as carrying a baby to term. In the ovaries, progesterone is the precursor of estrogen, testosterone, and other adrenal hormones, as well as steroids which are responsible for stress response, sugar and electrolyte balance, and blood sugar. This means that progesterone deficiency can cause a wide range of ailments, many of which seem unrelated to “reproductive” problems. So why are women in industrialized countries susceptible to progesterone deficiency, while women in undeveloped countries are not? There are several key reasons for this, most of which are found in our synthetic environment. Exposure to xenohormones, stress, eating soy products (knowingly or not), using hormonal contraception, chemical exposure in the womb, using HRT, and hysterectomy can all play into our imbalance. We’ll scratch the surface of these topics, and you can dig deeper on your own. The term “xenohormone” and “xenoestrogen” refer to substances not found in nature that have hormonal effects. Most of us come in contact with these substances on a daily basis. “All xenohormones should be considered toxic; the majority of them have estrogenic effects on both male and female bodies,” say Dr. John R. Lee and Dr. Jesse Hanley in their book, What Your Doctor May Not Tell You About Premenopause¹. The following list is also taken from their book. Comments in parentheses mine. So what does estrogen dominance mean? It simply means that the body has too much estrogen and not enough progesterone. As Dr. Lee puts it, estrogen dominance “describes a condition where a woman can have deficient, normal, or excessive estrogen but have little or no progesterone to balance its effects in the body. Even a woman with low estrogen levels can have estrogen-dominance symptoms if she doesn’t have any progesterone.”³ Xenohormones which we are exposed to on a daily basis mimic estrogen in our bodies causing this serious imbalance. To top this off, many doctors prescribe women synthetic estrogen to deal with the symptoms of estrogen dominance, which leads to even worse estrogen dominance. What’s wrong with not ovulating? Estrogen dominance results in lack of ovulation. In short, after the egg, or ovum, is released at ovulation, the emptied follicle becomes the corpus luteum that makes progesterone. This is the primary way a woman produces progesterone. So if you don’t ovulate, your body won’t make progesterone in any significant quantity. It can appear as if you are having a normal menstrual cycle even though you haven’t ovulated, but the lack of progesterone can still cause symptoms associated with PMS, as well as making conception impossible. Even if one ovulatory cycle results in conception, the lack of progesterone in the body usually results in early miscarriage. Stress can also cause an anovulatory cycle (a cycle in which there is no ovulation). So can heavy exercise, serious illness, dieting, and extremely low calorie intake. Women who try juggling careers and family or have demanding or competitive jobs also tend to have anovulatory cycles. Sufficient sleep is absolutely essential to keep your body’s stress levels down! In addition, xenoestrogen exposure in the uterus can cause follicle failure for women later in life. This means that epidemic numbers of women are infertile because of the Windex, Miracle Gro, fingernail polish, and spray paints their mothers used while they were in the womb. It takes very little exposure to still experience the devastating effects of these powerful xenoestrogens. The reproductive organs of both boys and girls are extremely vulnerable to permanent damage while in the womb. What you can’t see can hurt you, and your unborn child! Hysterectomy is also a common cause of estrogen dominance. Doctors convince women to have hysterectomies to deal with the symptoms of estrogen dominance. Unfortunately, conventional medicine compounds this problem by prescribing only estrogen and no progesterone (called unopposed estrogen) to these women. Many doctors lack proper education about the use of natural progesterone, as the pharmaceutical companies cannot patent, and therefore cannot capitalize on the prescription of these highly effective natural alternatives to conventional HRT. A sad but true fact is that pharmaceutical companies are the primary “educators” of our doctors, regarding the drugs that they sell. There is good reason that they don’t know about the natural, non-patentable, alternatives such as Natural Progesterone. The majority of modern birth control methods contain synthetic hormones, or progestins, which are not the same as the progesterone produced by the body. These synthesized hormones have a long list of side-effects ranging from uncomfortable to life-threatening, including causing cancer. These man-made hormones fool the body into not cycling properly, and thus conception is avoided. Almost all contraceptive methods pushed on the public today contain hormones. Beware! Your body cannot remain in balance when inundated with such a barrage of hormones. Did you say that I ate estrogen?? O.K. I think this one could be the hardest to avoid for some people. Did you know that soy is not really a food, but a drug? It is extremely high in estrogen, unless fermented. And the hard part is that soy is in just about everything, from baby formula to “health food” crackers and cereals, to fast food hamburgers and canned tuna fish. Just read the ingredient list on any “box” of food you buy. In addition to soy, many foods contain high concentrations of xenoestrogens from the pesticides and growth hormones used to produce them. The three foods highest in pesticide content, and thus highest in xenoestrogens, are milk, coffee, and meat. Cholesterol – You Need It! The body needs good cholesterol, such as that found in butter, coconut oil, fish oil, and extra virgin olive oil, to manufacture progesterone. If it doesn’t have this vital building block, it cannot build. In contrast, rancid or hydrogenated oils like margarine, corn oil, shortening, peanut oil, and MOST other commonly used oils interfere with thyroid and hormonal balance in every way conceivable. Please, give me some hope! So what hope to women have? 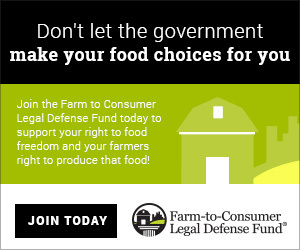 In a society where xenoestrogens lurk around every corner, we can choose to make lifestyle changes to protect our own health and that of our families. Of course, there are some things that we can’t change, but many we can. Avoid exposure to chemicals that you know are dangerous. Eat a nutritious whole foods diet and drink lots of water. Consume healthy oils and fats such as coconut oil. Avoid hydrogenated oils at all costs! Get plenty of sleep-the ultimate healer. Avoid hormonal contraception and HRT like the plague. Help bring hormonal balance through using a Natural Progesterone Cream. Natural Progesterone is “bio-identical” to the progesterone produced by the human body. This means that the molecular structure of Natural Progesterone cannot be differentiated when compared to the molecular structure of the progesterone produced by the body. When applied properly, a good Natural Progesterone cream will give the body the physiologic amount of progesterone needed to help bring balance to the hormonal system. It offsets estrogen dominance, bringing relief to a multitude of ailments including PMS and symptoms commonly associated with Menopause. Wild Yam has a long and well-documented history of helping women’s bodies to gain hormonal balance. It is especially good for cramping. While this is true, there is a great deal of confusion about the difference between progesterone and Wild Yam. In volume 13 of Cancer Forum, Dr. Lee sheds light on the issue by explaining that “…in the body, we make (synthesize) progesterone form cholesterol. In the lab, the chemist makes (synthesizes) progesterone from diosgenin. This diosgenin from the wild yam-like the stigmasterol from soybeans-is actually a precursor of a number of hormones. Thus, with only slight modification it can be made to duplicate the progesterone molecule the body produces so that it can be fully utilized as needed.”† This CANNOT be done by the human body. If a woman is deficient in progesterone, Wild Yam may be useful, and may very well aid the body in gaining balance, but it is NOT progesterone, and cannot do what progesterone can do. Progesterone absorbs rapidly through the skin, into the fat, and then into the bloodstream, while oral doses of progesterone have to filter through the liver, lessening the benefits exponentially. This means that a transdermal application takes much less actual progesterone to get the same benefits as a megadose taken orally. In addition, using a progesterone cream is much less burdensome on the liver. Natural Progesterone is NOT a drug. It is not a drug, like the many progestins pushed by pharmaceutical companies, and thus, cannot be patented. This is one reason why many women are unaware of its incredible benefits. As stated before, there is big money behind HRT drugs, and someone doesn’t want you to know that there’s something safe and much less expensive that might replace their drugs. The following chart is taken from Raquel Martin’s book, The Estrogen Alternative: Natural Hormone Therapy with Botanical Progesterone. Natural Progesterone has very rare side effects, unlike its synthetic version. According to Dr. Lee, almost all side effects are caused by gross overdose or mixing other hormones such as estrogen and testosterone. Some women report that they experience estrogen dominance symptoms for up to two weeks after starting to use Natural Progesterone Cream, caused by a sensitization of estrogen receptors. Breast tenderness is common, but temporary. If a menstruating woman takes natural progesterone out of phase with her cycle, it could change the timing of her period or cause some spotting. All in all, it is extremely rare for a woman to experience genuine side-effects from properly using Natural Progesterone. As Dr. Lee repeats many times in his books, more is not better! Use common sense and follow Dr. Lee’s guidelines. If you do the math, a 2 oz. container should last between 2-3 months, depending of individual usage. Not all Progesterone creams are created equal! There are many “natural” progesterone creams on the market today, but the majority of these creams contain other chemicals as preservatives or for fragrance. Ironically, some of these chemicals act as xenoestrogens, sending confusing signals and causing further hormone imbalance to the body. Dr. John Lee recommends that a progesterone cream contain 900-1000mg. of USP progesterone (concentration is regulated by the United States Pharmacopoeia) per 2 oz. container. Many progesterone creams, or so-called “Wild Yam” creams on the market do not indicate how much actual progesterone is in their product, or use obscure language to cloud or confuse the reader. This is because USP progesterone is expensive. Make sure that the ingredient listing indicates exactly how many milligrams of USP progesterone are in each container. Educate yourself on the subject of hormone balance. I highly recommend that you read one of Dr. Lee’s books, or one of the other informative books available on the subject. They will help you to fine-tune your use of Natural Progesterone cream, bringing the best possible results for YOUR body. The scope of this article is extremely limited and is not meant to diagnose or cure your personal condition, but rather to educate and provide a jumping-off point for your own personal research and journey toward hormonal balance. Please don’t stop here. This is a fascinating subject! Dr. John Lee’s Hormone Balance made Simple by John R. Lee, M.D. What Your Doctor May Not Tell You about Premenopause by John R. Lee, M.D. and Jesse Hanley, M.D. 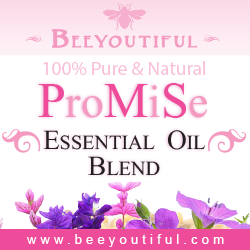 A truly Natural Progesterone cream is now available from Beeyoutiful! 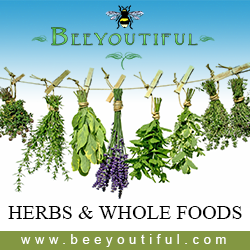 Beeyoutiful is now carrying Beeyoutiful Balance bio-identical progesterone cream, a truly Natural Progesterone cream that can aid the body in gaining hormonal balance. 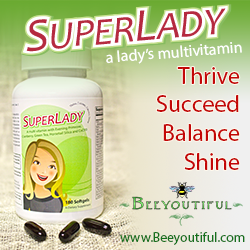 Beeyoutiful Balance contains 1000mg. per 2 oz. container. It is made with luxurious skin-nourishing oils such as Jojoba oil, expeller pressed Avocado oil, and coconut oils which penetrate deeply into the skin and restore damaged tissues. Jojoba oil is very similar to the skin’s sebum, which means that it absorbs without staying greasy. We included an extra virgin olive oil infusion of Wild Yam root, Comfrey root, and cayenne for their synergistic ability to aid the body in utilizing and maximizing the progesterone. Finally, we use a small, but effective amount of rosemary essential oil as a natural preservative and a light and refreshing amount of sweet orange essential oil for scent. Beeyoutiful Balance bio-identical progesterone cream is an all-natural product. It contains no parabens, aluminum, artificial fragrances or colors, and no petroleum products! It is made of food grade oils, and contains no animal products. Ingredients: coconut oil, jojoba oil, avocado oil, extra virgin olive oil infusion of organic wild yam root, organic comfrey, and cayenne, 1000mg USP progesterone dissolved in grain alcohol, rosemary essential oil, sweet orange essential oil. †John R. Lee, “Natural Progesterone” (transcript), Cancer Forum, Vol. 13, No. 5/6, winter 1994-1995.